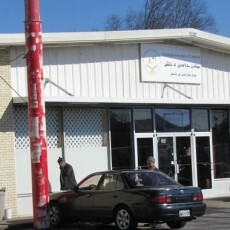 Salahadeen Center of Nashville (SCN) was established in 1998 in Nashville, TN. SCN is a membership organization registered in the State of Tennessee as a non-profit, tax-exempt organization. SCN’s main objectives are the upbringing of Muslim children and serving the community. What was once a small community center, it is now one of the largest Muslim community centers in Nashville area, it serves South Nashville, and towns to the south of Nashville, such as Antioch, Smyrna, La Vergne, and Nolensville. Since its establishment, the center members have grown significantly. The center now owns three buildings: the main prayer building is located in 364 Elysian Fields Court, and it serves as the main prayer and activity building. The second building is used for the Center’s Sunday School Program, Children Library and Youth Programs. The third building is rented out and is a grocery store. The Sunday school was established a few months after the opening of the Center with the purpose of building a strong Muslim character, strong faith and knowledge.